Not sure how your email marketing campaigns are doing? The first metric to check is your “open rate” – that is, how many of your subscribers actually opened the email you sent. Open rates go on to determine click rates, conversion rates, and the overall performance of an entire email-marketing program. Open rates are also a great way to measure subscriber engagement. While one message may do unusually well or unusually poorly, an email marketing program’s overall open rate is a key indicator of health. So, what constitutes a good “open rate?” There are a few places where you can check out industry standards; such as, this chart by Constant Contact. Otherwise, it will largely be all about personal goals. If you had a 7% open rate for your last campaign, then your next goal would be to rise above that. If you send too many emails, your subscribers will become annoyed and stop opening them, or even worse, they’ll unsubscribe all together. If you send too few, your emails may just drift into the background of their inbox, as they aren’t used to hearing from you, or might not even remember their connection with you. The key is to find the right balance of emails for your unique audience. You can gather some feedback if you allow subscribers to choose between daily/weekly/monthly digest emails, and that will tell you what their preferred level of communication is with you. Otherwise, you could try once a week emails, and see how they’re received. Need more insight into how frequent your emails should be? Check out this great article by Entrepreneur. Open rates can vary dramatically depending on what time of day and what day of the week the emails are sent. The best way to find out your audience’s preferred time for emails is to test, but you can also check some recent industry reports for clues. Generally, it’s best to avoid Mondays because your email will get lost in the craziness of the day. Weekends are also out because people are usually busy having fun, instead of checking their email. Lastly, on Fridays people like to mentally check out a little early and plan their weekend. The best days to aim for are Tuesday, Wednesday, and Thursday. As for timing, it’s best to send your email when subscribers are least likely to be asleep, eating, or hanging out with their families. 1-3pm is usually a solid bet, and 9-11am. Remember to coordinate your send times with the time zones your subscribers are in as well. If most are in a vastly different time zone to you, you can either send it at a different time, or if possible, set it to auto-send at a specific time. You could even create lists for different topics that your subscribers can choose from when they sign up for your newsletters. Perhaps if you run a bakery, topics could be cooking classes, gluten free recipes, or newest products. Subject lines are likely the most important factor that influences email open rates. Ideally, you want to entice their curiosity, without being so cryptic that they’re confused. Try insert numbers, like 4/5 business owners love this new feature! 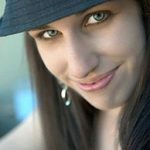 Speaking in a conversational or jokey tone that your subscribers might use themselves can help you break away from the competition. They should be short, concise, and contain the first name of the subscriber. If your e-mail service provider has the service, try A/B testing to determine which different subject lines work best for your audience. The email address you send your campaigns from and the ones you send them to are both very important. If you suddenly send emails from a new address or sender name, subscribers may be confused, and not open your emails. It can also hurt deliverability rates, because you’ll no longer be mailing from the email address that some of your subscribers whitelisted. On the other side, make sure that all your recipients’ email addresses don’t contain typos or syntax errors, which would make your emails bounce. It’s also important to check that they’ve opted into your email campaigns, so you aren’t illegally contacting people, and your open rates will be higher if your recipients have actually expressed an interest in being contacted by you. According to EmailMonday, 55% of email is now opened on a mobile device, and the numbers will only continue to rise. For this reason, it’s absolutely essential that your emails are presented in a mobile-friendly responsive format. If they aren’t, subscribers will stop opening your emails, because they’re difficult to read. In addition to a responsive format, you should use a larger font, smaller images to reduce load time, and your links within the email shouldn’t be too small or close together. By creating an optimal mobile experience, not only will your open rates improve, but also your click and conversation rates! 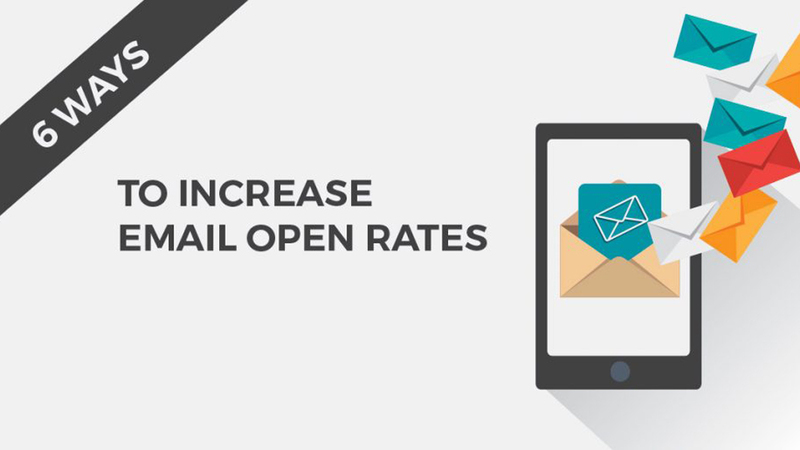 Do you have any tips that have helped you improve your e-mail open rates? Please share in the comments!